Mr. Dimosthenis Pavlou (31 years old) is a Civil Engineer, PhD Candidate and Researcher at the Department of Transportation Planning and Engineering at the School of Civil Engineering of the National Technical University of Athens. In 2008, he graduated from the School of Civil Engineering at the NTUA after having followed the option of Structural Engineering. He has a Master of Science in the Interdisciplinary – Interdepartmental Program “Analysis and Design of Earthquake Resistant Structures”. 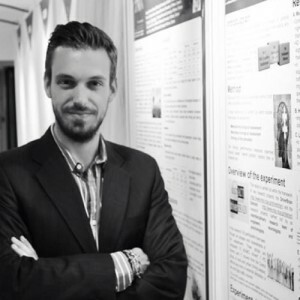 Currently he is a PhD Candidate and Researcher in the Department of Transportation Planning and Engineering in NTUA in the field of road safety. He has 4 years of research experience in traffic engineering and road safety with emphasis on human factors. He has participated in 8 Research Projects, has made 46 Scientific Publications (+14 which are currently under review), he is a reviewer in Scientific Journals and Conferences and has attended several Scientific Conferences.